i've never really shared my experiences with beauty or skincare products on this blog, partly because it has never been a big interest of mine until the past year or so—when my skin started 'acting up'. i'm a firm believer that good skin comes from drinking lots of water. this is true even now, nothing helps my skin better than drinking enough plain water in a day. the rest of the skincare additions take it to another level, to improve and simply when just water isn't enough. the weather isn't always kind..
i'll start sharing some of the products i've been using here. i hope it's helpful to anyone wanting to try these. some of my sheet masks collection. my skincare history, and other facts—i have a combination skin type. a little sensitive so i stick to what works. my scalp is sensitive too, i've got thick hair with fine strands. i live in a sunny, humid country, with temperamental monsoon rain. beauty products weren't always a priority throughout my teenage>adult life cos i'd spend my money on food because ultimately still—that's how all the nutrients are best consumed—not by slathering my face with thick, sticky moisturizer all day, all night (which from my early experiences, gave me nothing but breakouts). i've never found much products that truly suit me—or i was just plain lazy to keep searching. my daily routine before i started to really pay attention—hydrating facial cleanser plus the occasional toner. some CC cream (with SPF) on, dab some compact powder (also with SPF) to keep oiliness at bay before leaving the house. endless supplies of body lotion cos i love the smell. these are still the basics i stick to, cos it worked for me. my facial condition improved a lot with this (i kept thinking, what is this sorcery??) --using sheet masks every other day, 3 times a week. it only need 15-20 minutes of my time, before going to bed. 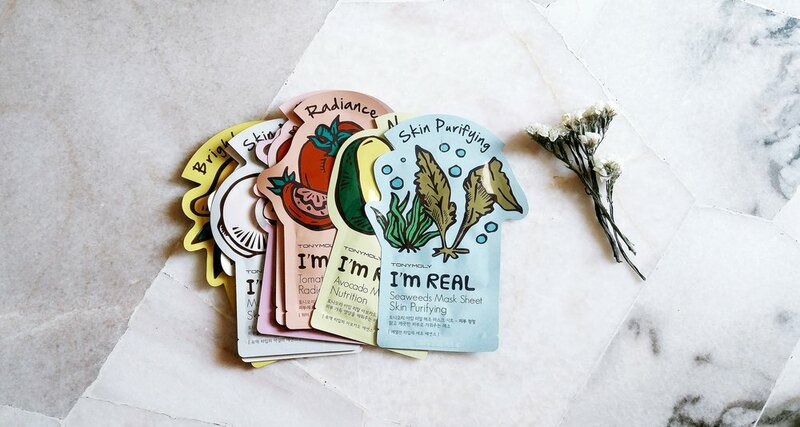 sheet masks and k-beauty, really, has taken the beauty/skincare world by storm - so better late than never, right? i do need lots of moisturizing. not only this is an affordable solution, these products are mostly plant-based so i'm all in. i try my best to choose eco-friendly, green products. what you need to know about this routine: wash and tone your face, to prepare your skin beforehand. put the mask on and leave it for 15-20 minutes, never more! take the mask off and massage/pat your face gently. use remaining essence on your body. mask is best used in the morning or evening, after 9PM, before bedtime. choose paraben-free masks. pumpkin! i love pumpkins. this mask claims to provide intensive skincare—revitalizing, lifting. Mediheal Pumpkin Ade Mask. also in frame, the Lemon Lime Ade Mask from the same range. how cute is this cup-with-straw packaging? pros - loaded with pumpkin goodness (vitamin c, b, k, carotenoid - helps with UV damage). the sheet is thick, drenched with essence, plus some spiral prints to keep it in place? moisturizes so well after 15 mins of application. not scented - though i was almost hoping for a hint of pumpkin, yum. woke up the next morning with soft, refreshed skin. no breakouts. cons - my face felt a little too sticky after removing the mask and patting my face a bit, lasted about an hour or so. doesn't bother me much though but it does means it's not suitable for morning use unless rinsing is done afterwards, washing away all the pumpkin-goodness. 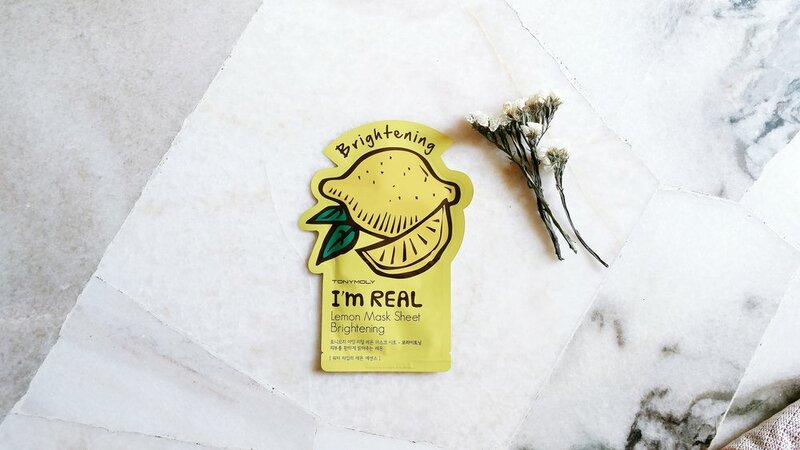 a lemon-infused sheet mask that brightens skin. pros - it does what it says. my skin glowed the next day, a little brighter than usual. i could also go on and on about the benefits of lemon for your skin. STRONG LEMON SMELL, which i do like. so refreshing! great 3-layer pulp sheet mask, dripping with essence and even so, the package is still filled with extras that i could apply on my neck and body. not leaving my face sticky after removal, skin feels soft and it kept oil at bay for hours. suitable for morning use. i might re-purchase, but i won't use it too often. one unexpected benefit from this routine is that it feels like a 20 mins spa time at the end of a busy day, when done at night. TRULY RELAXING (a plus if you put the mask in the fridge half an hour before application, it feels so good). do you use sheet masks? any favorites? i'd love recommendations. note - this is not a sponsored post.